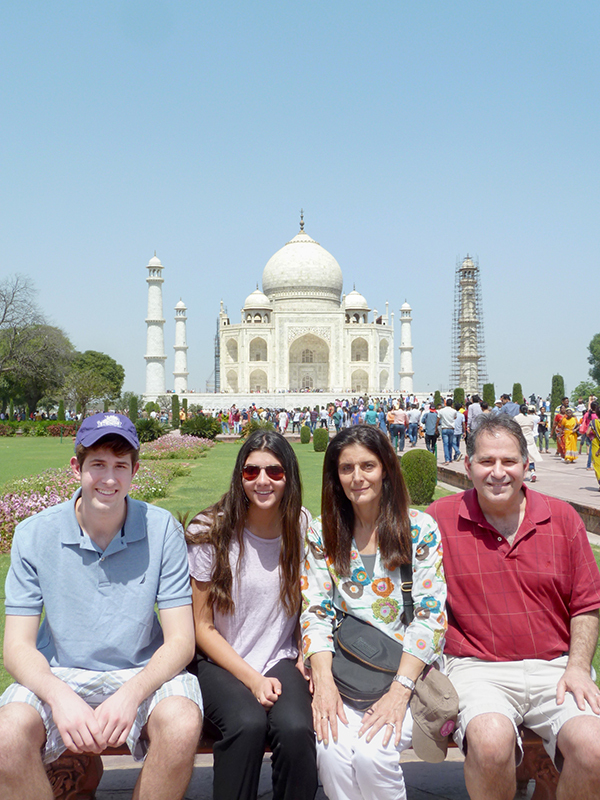 I’ve been to India over and over again, but traveling there for the first time with an entourage that included my twin sisters, Emily Rabjohns and Lucine Nersesian; my son, Marty; and my niece Marguax (Lucine’s daughter) has renewed my respect and adoration for this country, which has meant so much to my family’s business. 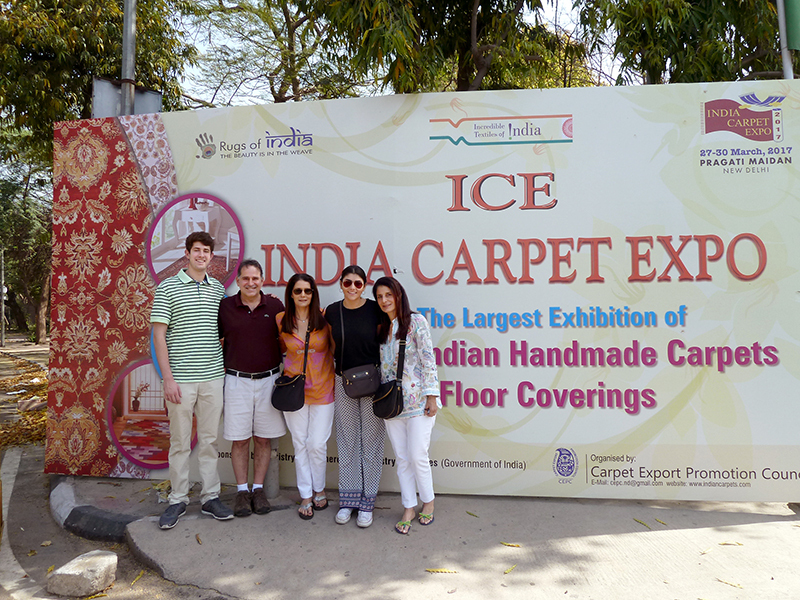 The focus of the trip was to attend the 33rd India Carpet Expo, which took place March 27-30 in Pragati Maidan, New Delhi. 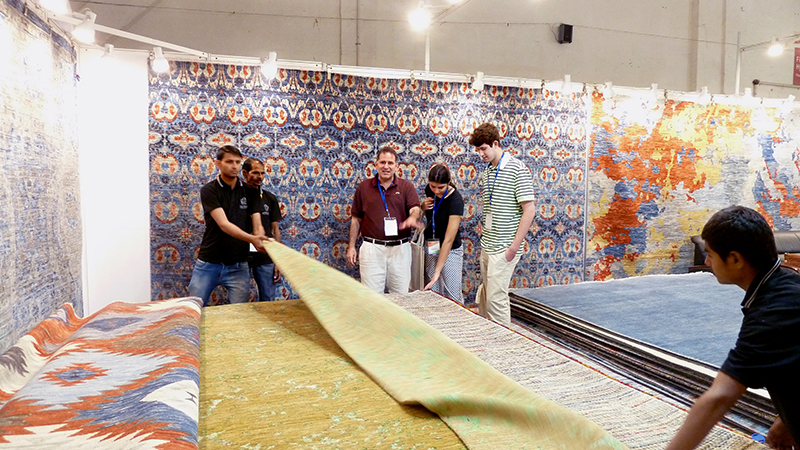 Over the years, this Expo has evolved into Asia’s biggest handmade carpet show. 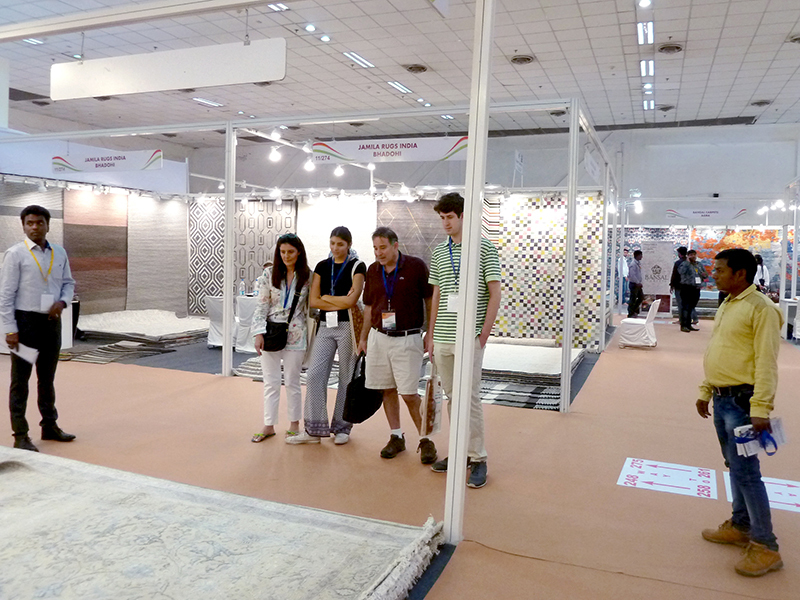 Buyer and exhibitor attendance were exceptionally strong, which we hope is a sign for a successful season for everyone. At the Expo for two of its four days, we were like kids in the proverbial candy store. As you would imagine, it was especially gratifying to share the experience with my son and niece. 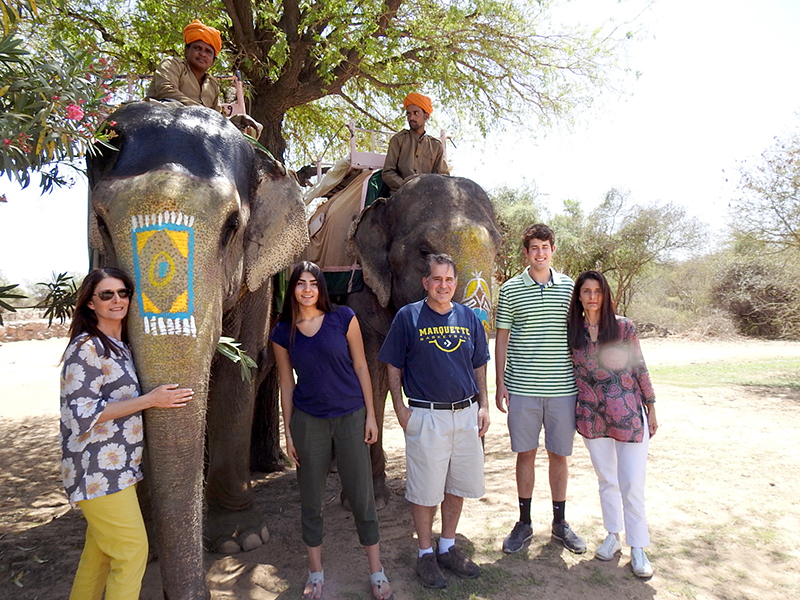 Plus, it was Lucine’s first time in India and Emily hadn’t been back in at least 10 years—a lifetime ago in terms of style and overall business changes. As we walked down the aisles of the show, we were delighted to be introduced to new suppliers, which always is such a treat, and to solidify relationships with our existing suppliers, many of whom have become meaningful friends over the years. We purchased and ordered a fair amount of merchandise, which should arrive within six months. As always, we’ll be eager to share it all with you at one of our legendary unveilings once the India product is delivered. Stay tuned! 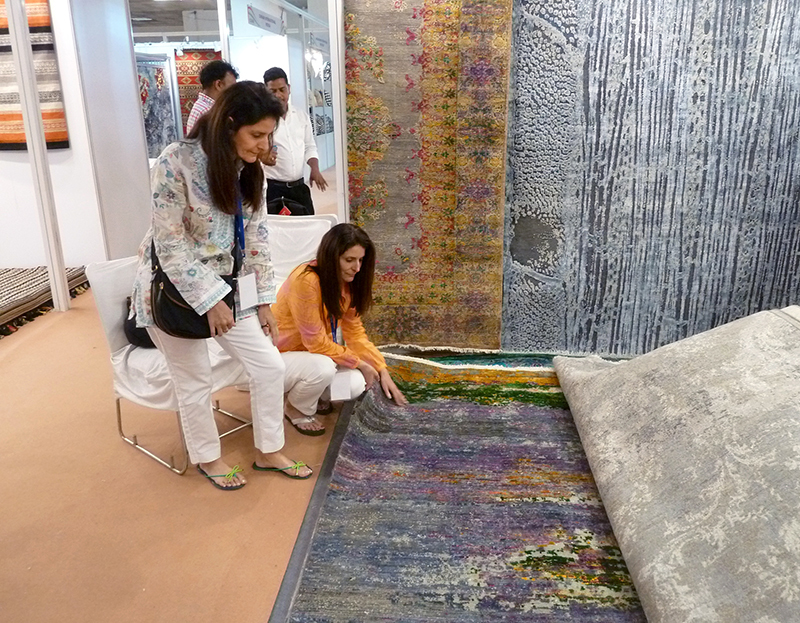 After New Delhi, we traveled to Jaipur to visit suppliers who did not exhibit at the show. It’s become clear to us after several days of reflection that neutrals (including grays) and texture still have a stronghold on styles. But taking a closer look beyond the surface, we can tell that suppliers are beginning to dabble in more color, which is inching its way back. 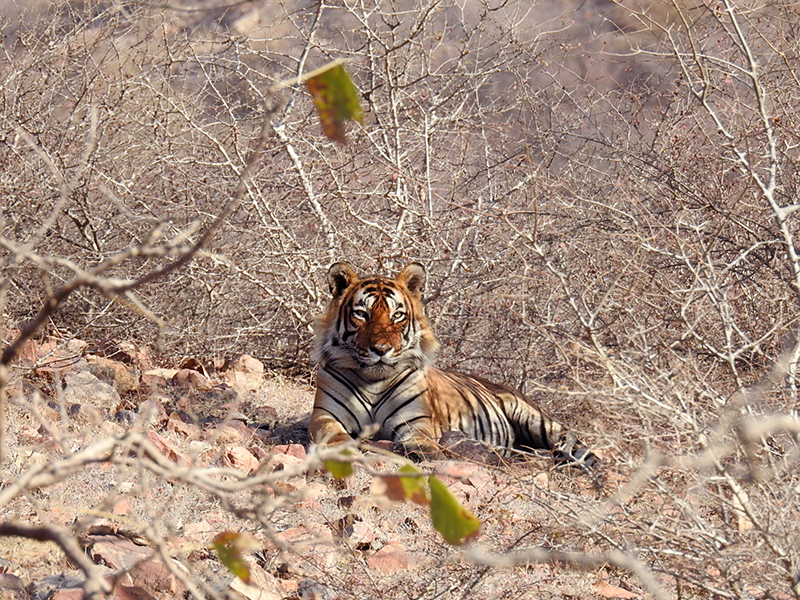 We concluded the trip with a visit to majestic Ranthambore Tiger Reserve, part of an expanse of more than 515 square miles of land that was once the private hunting grounds of the Maharajas of Jaipur. 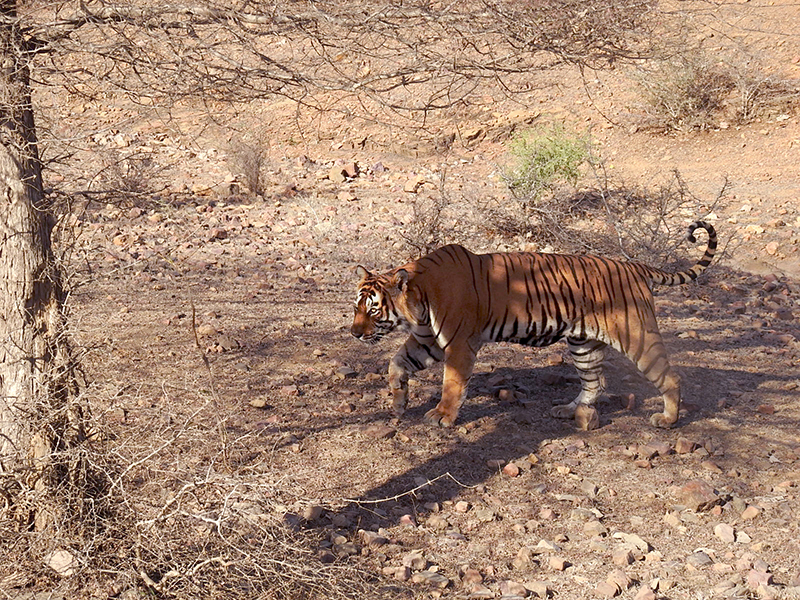 There, we were awestruck to see live tigers living and roaming free within the Reserve, an experience we soon won’t forget. 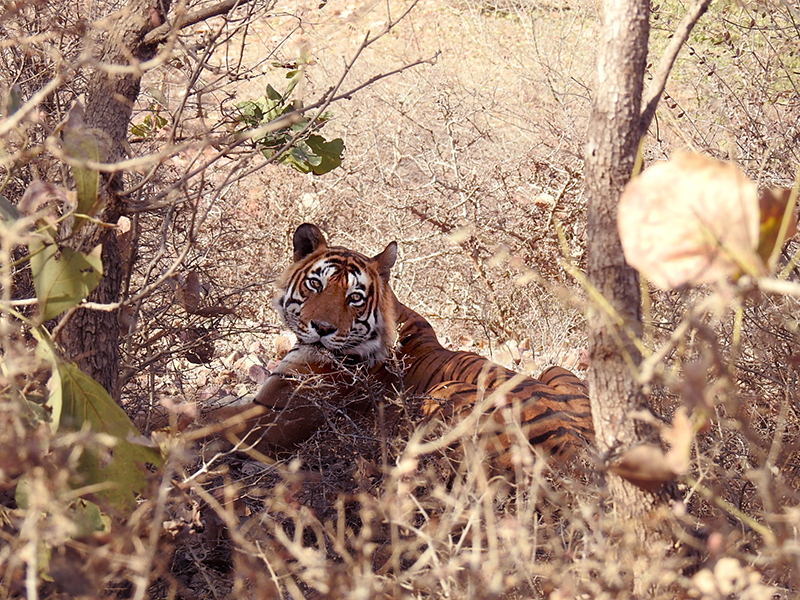 If that weren’t enough, we also squeezed in a trip to the incredible Dera Amer, a family-owned, 160-acre outdoor wilderness camp surrounded by the Nahargarh National Park. 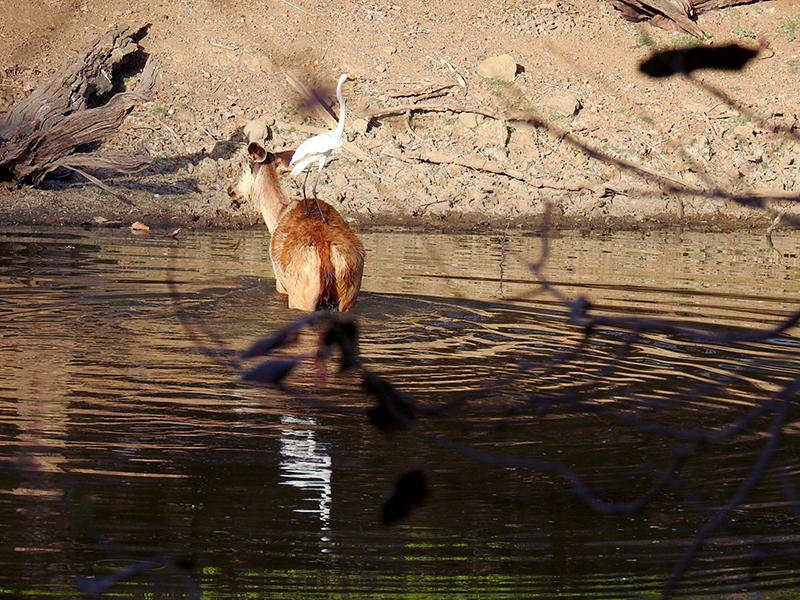 The aim of this family is to not only protect the wilderness but also their adopted animals within it. 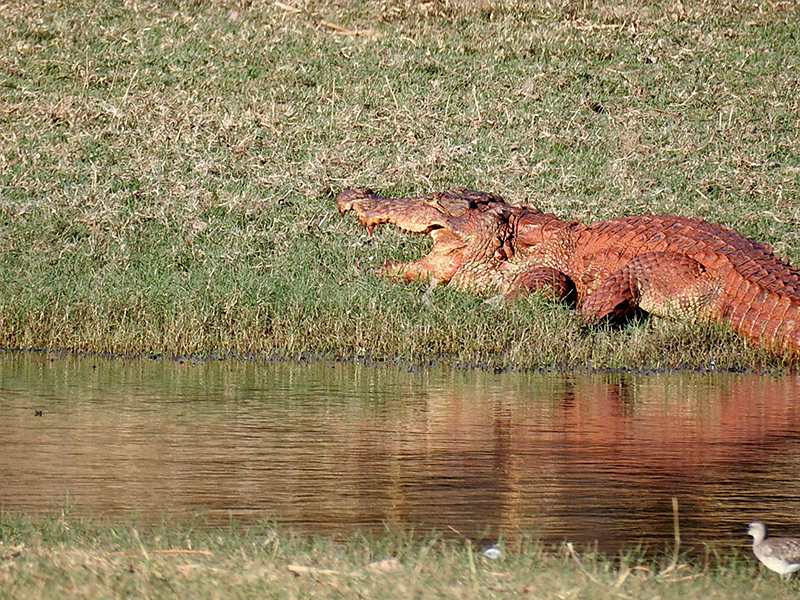 They organize elephant, horse and camel safaris in the jungle using their beautiful home and camp as base. 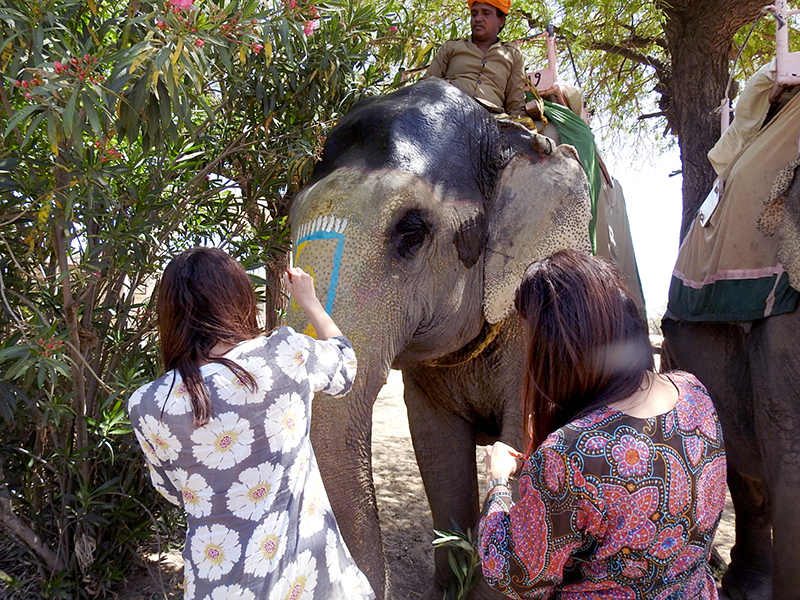 In a once-in-a-lifetime moment on our incredible elephant safari we even painted a decorative carpet on one of the elephants, as other guests adorned the gentle giants with sweeping floral motifs and more.